Nothing does as much for your company image as a clean workplace; it’s the first impression potential clients have of your company and for your staff it can be the difference between an invigorating place in which to work and an unpleasant one. Many businesses have found that using a professional cleaning company is far more cost effective than employing an ‘in house’ cleaner but your choice of cleaning company is crucial. TitansClean Services provides quality contractual maintenance cleaning service at competitive cost. We can tailor our service to your needs and requirements to create and maintain a clean, tidy and hygienic environment. Outsourcing cleaning services can have a significant impact on your bottom line in a variety of areas. First, there is generally an immediate cost savings in part because an expert cleaning staff can get more done in less time and a professional cleaning maintenance company procures optical pricing on equipment, supplies and refillable goods like toilet paper, towels and hand soap. Beyond immediate cost cutting measures there is the elimination of the sizable costs of recruiting, screening, hiring, training and managing employees. When outsourcing cleaning services, benefits administration, health care, employee status verification and other time intensive tasks become the responsibility of your building maintenance contractor. In a competitive business environment, cleaning service contractors understand you have many options when considering outsourcing cleaning services. 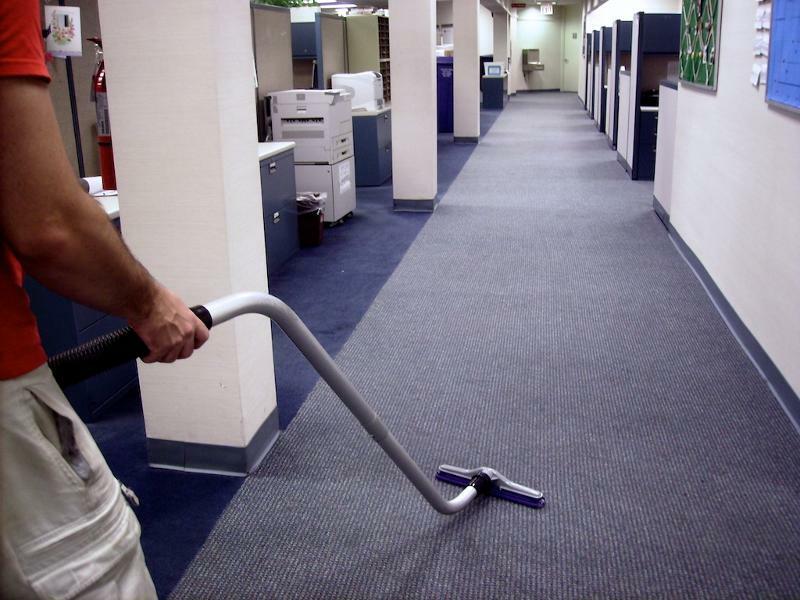 A trusted, professional janitorial company will work hard to get and keep your business. Likewise, a sizable company can adjust to accommodate your changing needs quite easily. Whether adding more people for peak times or scheduling yearly maintenance, a professional officecleaning maintenance contractor will work to meet your facility's specific needs. Outsourcing cleaning services to a professional cleaning company means you get better work done in less time. A professional cleaning company will employ the most advanced and efficacious methods to get the job done right. Whether you need industry specific cleaning like the healthcare services industry or you are considering green cleaning options, a professional maintenance company can help you explore your choices. Likewise, most highly skilled, professional contractors have a menu of other services that you can utilize as needed from minor facilities repair to carpet cleaning. Every issue regarding the management of your cleaning operations becomes your contractor's responsibility. This can include staffing issues, cleaning standards, the procurement of supplies, equipment and products and other resource draining operations. With someone else handling these responsibilities you can lighten your load and you and your staff can focus on other duties. Due to the nature of the work, there are specific liabilities associated with a cleaning staff. Insuring you are properly covered costs money and time as you must adjust coverage as the scope of the services and people change. Outsourcing cleaning services to a professional company can save you time and money as they will insure their own employees and can even add you or the facility owner to their contractor's policy shielding you from third party litigation.